We’ve literally just arrived home from a 2 1/2 week family vacation to Japan. While there, my tech-minded sons introduced me to a current video game called Pokemon GO. It turns out this Pokemon GO game isn’t just a game, it’s more of a phenomenon really, at the very least it’s a craze. As is typical I’m one of the last to know about it. Yet in a matter of minutes I became a huge fan!!! I’d never before played a video game and really believed that they were an utter and complete waste of my time. Pokemon GO has given me a whole new respect for video games. It turns out that what my boys kept trying to tell me as they grew was correct…video games can be good for our culture, our health, and our livelihood! Pokemon Go was released in Japan a few weeks after the USA launch, so I suspect we experienced the game at it’s height of popularity. While its meteoric rise in the USA was unprecedented it’s also not been sustained. User numbers are dropping as more people advance in the game and it becomes less of a challenge. People who live in remote areas don’t have access to wild Pokemon and Poke Stops that city dwellers do, therefore cheating has become prolific which has dampened everyday players interest. No one is sure what Niantic has in store, but if they don’t have a strategy to reinvigorate players, a more rapid decline is probably imminent. This perhaps is the single biggest reason to take advantage of the game’s popularity now rather than waiting. If you wait, the opportunity may be gone forever. The concept behind Pokemon GO is so simple that it can be played by anyone…young and old alike! Your goal is to catch as many wild Pokemon as possible. As you’re walking around sight-seeing or running errands you’ll notice that almost all popular sights have more Pokemon to catch and more unusual ones too. By keeping the Pokemon app open (or running in the background) on your smart phone, you’ll be more likely to receive instant notifications when new Pokemon appear. If none do appear you can use these popular sites to stock up on Pokeballs and other usual items. What’s So Great About Pokemon GO? The game encourages exercise and being outdoors…but it also encourages interaction between cultures and even between generations…these are all things that you wouldn’t typically credit as advantages of video games in the past! Which perhaps is why millions have flocked to the game so rapidly! Pokemon GO’s initial launch stats have broken all records. More people are playing Pokemon GO than they are tweeting or sending Snapchats. In the games first week it became the most popular mobile game of all time! The game is perfect for family vacations because that’s when you’re usually running around looking at a lot of great sites naturally anyway. So it’s a time when you can really advance your proficiency and game standings a lot. More importantly we found that it’s a great generational bridge for inspiring better conversations too. In our case we discovered that both of our young, adult-aged sons were playing the game a few days into our vacation. It took that long for us to notice because they kept their game play very low key and unnoticeable…we really assumed they were just texting. Until it dawned on us that we didn’t have a great method for texting back to the USA. Once we asked about it, they were more than happy to show us what they were doing, and helped us to get started too. Playing the game forces you to be out and about, walking around and enjoying nature and local attractions. That in fact, is the only real way you can play the game. We did try to play it whilst taking trains, subways and cars, and that is possible…but it’s perhaps not the best way to move ahead in the game itself. I’m a complete novice to the game, yet in the course of 2 weeks time I feel confident enough in my knowledge to both recommend techniques as well as suggest methods business owners can use to increase their customer base and sales. One aspect we didn’t appreciate was just how huge this game has become so quickly! Because of this we discovered that there’s a natural camaraderie that surrounds players…even if they don’t speak each other’s language! We found Japanese people from all walks of life were playing too. When we’d encounter this we’d usually find that friendly encounters would arise in which arbitrary matters like speaking the same language just didn’t matter. One way in which Pokemon GO has broken the mold is by attracting adult users in unheard of numbers. While we traveled around Japan my sons continually commented upon the fact that they’d see hundreds of adults playing the game virtually everywhere we went. Since adults aren’t generally early adopters of mobile technology much less of video game technology, this seems to me to be the most compelling argument out there for local business owners to consider joining the band wagon. The best way I would recommend to see how well Pokemon GO could increase your customer base is by actually downloading and playing the game a little. You need to have a working knowledge of the game to use it effectively for marketing purposes. Don’t worry if you’ve never played a video game before…you’ll have no problems picking this up readily…just be forewarned…THIS GAME CAN BE ADDICTING! Which from a business owner’s purposes can be both good and bad! After you’ve finished reading this and played the game a little bit, you’re all set to begin tapping into a viral new marketing tool which your competitors most likely will ignore! To get good ideas on some of the simple methods being used by businesses, just read through the articles I’ve linked to at the bottom…they are very short and just contain a few ideas for ways businesses are using the game for marketing purposes. Host a Pokemon Event or Invite Players Into Your Place of Business This doesn’t have to be anything elaborate or big. It can be something as simple as putting up a sign that tells those walking by your business that you’re interested in Pokemon Go and will have a freebie available to anyone who wants to come in and show you the Pokemen they’ve caught. Or you could have an event where you’ll award a prize at the end of the day for the person with the most, or best (maybe highest CP) Pokemon shown you. You can capture screenshots of the entrant’s Pokemon and have them fill out an entry form, either digitally or hard copy. The prize could be a battery backup for their cellphone…you can get inexpensive ones preprinted with your business logo and contact information. 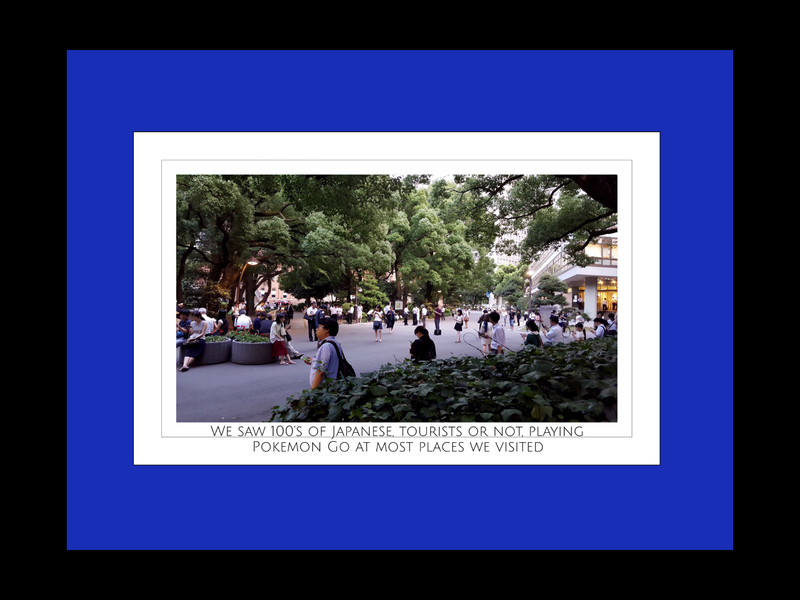 If you do this in conjunction with adding lures and incense you might be surprised how many people you attract…especially if it’s done during a time that normal foot traffic might already be at its highest. All that you really need is a smart phone and a Google account. You just go to your cell phone’s App Store and search for the app…it’s free. Despite there being several addons available for purchase, we haven’t paid for any of those and none are needed or even advised as a consumer or player. If you’re a merchant however, this is where you’ll need to buy ‘lures’ which are discussed in the articles I link to below. Once you’ve downloaded the app you need to create a user account before the game takes you through a few basic tutorials which show you how to play. You can do this easily by just allowing Pokemon to use an existing Gmail account. 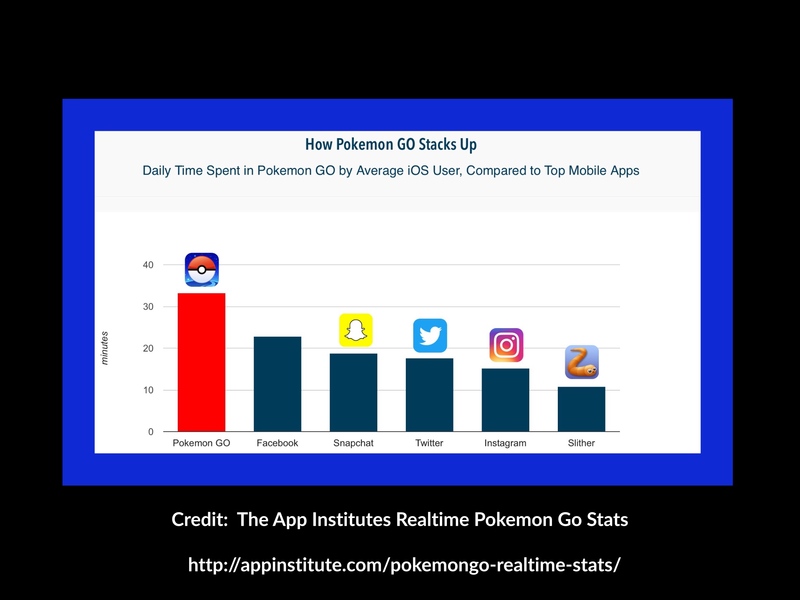 It appears that the huge initial success for Pokemon GO may have already begun to decline somewhat. The thing with taking advantage of viral crazes is that they can be very time sensitive. That very well be the case for the current Pokemon GO craze. No one can predict how well entrenched the game may be down the road…all they can tell you is how it’s performing currently. The fact that the craze is still really popular right now means that in order to benefit from it, you’ll need to take advantage of it now…not, say 2 months from now. Luckily, the stage is set for success in that regard. Learning the game and taking advantage of it for marketing your business is easily doable with very little time and effort. If you’re lucky enough to have some kids around you, you can take advantage of their insider’s knowledge of the game and gain an even stronger foothold or early advantage! Put another way, a lot of rewards can be realized with very little effort if you act in a timely fashion. As I mentioned in my opening sentence, we’ve literally just arrived home following a 2 1/2 week vacation in Japan. Our travel involved 5 cities (it should have been 6 but a health problem cropped up which prevented us from making it to Hiroshima.) I’ve put together lists of several of the best attractions and sites that we visited in each city. While this list is far from comprehensive, it does give someone else who might be planning a vacation to Japan a great outline for some of the best places to check out. I decided to include it because, brief as it may initially appear, it took us a lot of time to research and compile and there’s much more depth to it than appears on the surface. Abeno Harukas, which was completed in 2014, is the tallest building in Osaka and in Japan at 300 metres (984 ft). Okunoin Cemetery – one cool monument in the shape of a Space Ship is a Poke stop! One astonishing fact about Pokemon GO’s launch is that almost no marketing effort accompanied the game’s release. The developer’s relied on previous buzz that included a contest in the form of a Google Maps quest in 2014 as well as an April fools joke released in the form of another video. They also relied upon users to generate the buzz for them…which has paid off well for them. You’ll be amazed at the depth of the material users have created on YouTube. One example is the Mommy Chardonnay parody video below. 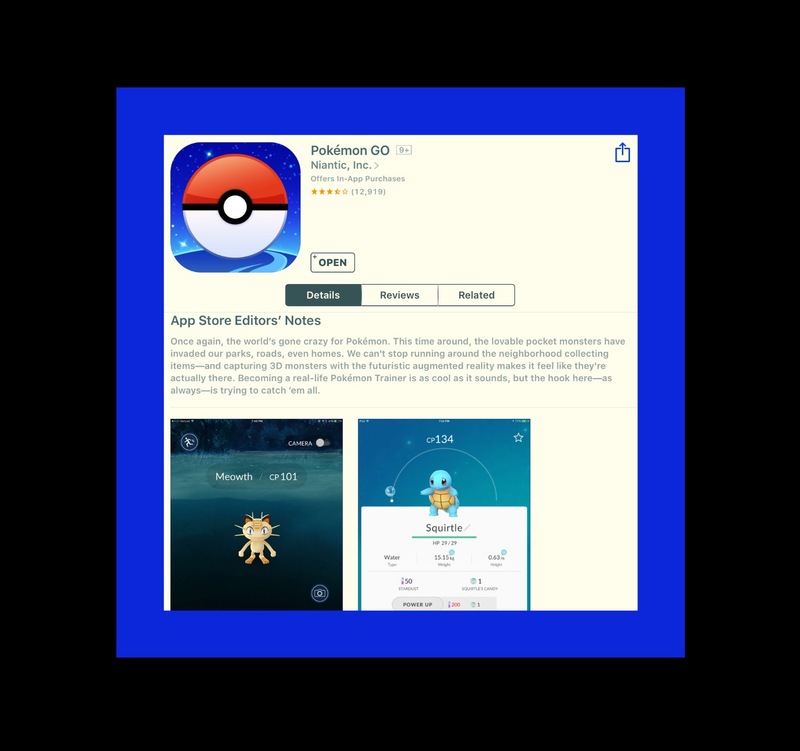 This entry was posted in Apps, Google Apps, ios apps, Uncategorized and tagged Google Apps, ios apps, Pokemon GO Craze Strategies, Using Video Games for Marketing. Bookmark the permalink.